A second good morning to you all on this fabulous Monday! There is news to share with you all today! After a great deal of thinking, planning and more thinking, there are going to be some changes coming to Pawsh over the next few weeks. Perhaps it is the delicious scents of fall lingering in the air or the constant bombardment of back to school commercials that has sparked this sudden desire for change. Whatever the reason, things will be a little different in the weeks to come, but hopefully in a good…nay, great!…way! 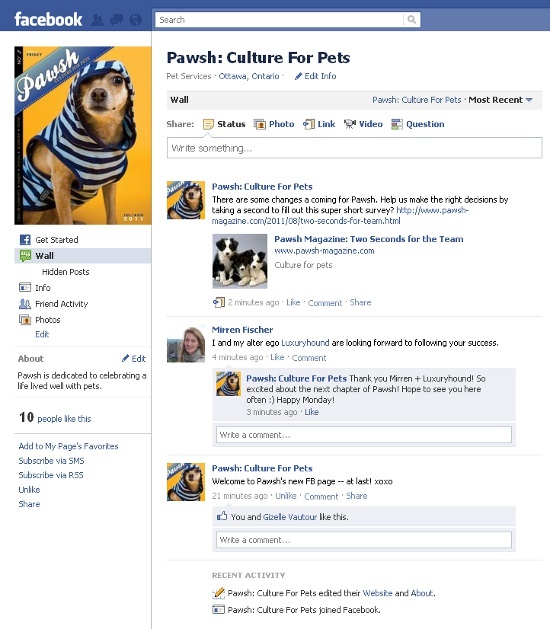 To make sure Pawsh remains a happy place for you and your pets, we hope you can take a second or two to fill out this super short and super painless survey. We want to know where you think we can improve and what we can do to become even better for your furry family. Honesty is welcomed and in fact encouraged, so if you are able to complete this survey, please keep those sentiments in mind.